Kitty Bradshaw, of KittyBradshaw.com celebrated her two year blog anniversary yesterday by hosting a networking event for other bloggers. I would have to say that this selfless act makes me admire her even more. I love her no-holds barred attitude, and no matter how she comes off via her tweets, she is actually a really nice person (from what I can tell). Seriously, don’t judge the book by it’s cover. Let me tell you, I’m from Brooklyn. I’ve lived here all of my life and I got lost! I always get lost taking public transportation. It’s horrible I know. Sometimes I laugh in disgust at myself. I call myself a New Yorker. 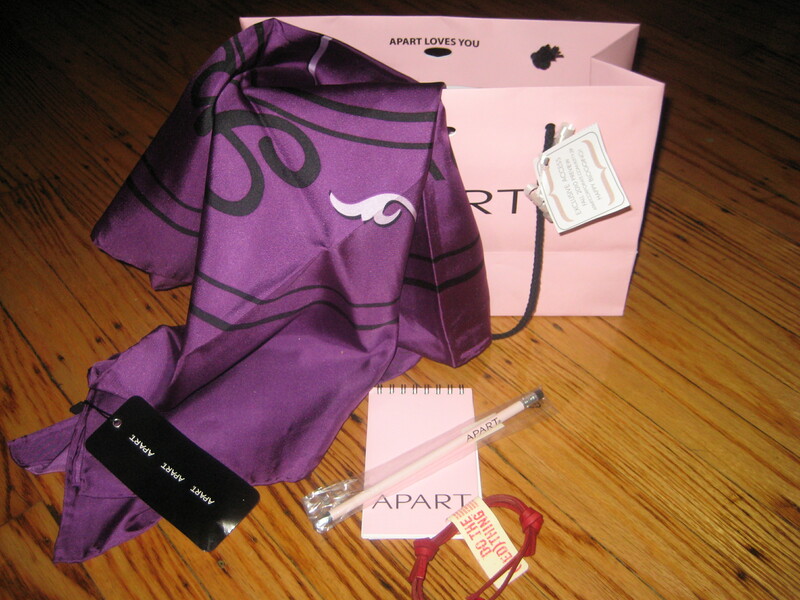 I attended the event at the Apart boutique with my junior high school & high school friend Janique, who has a wonderful fashion blog, Her Goody Bag. 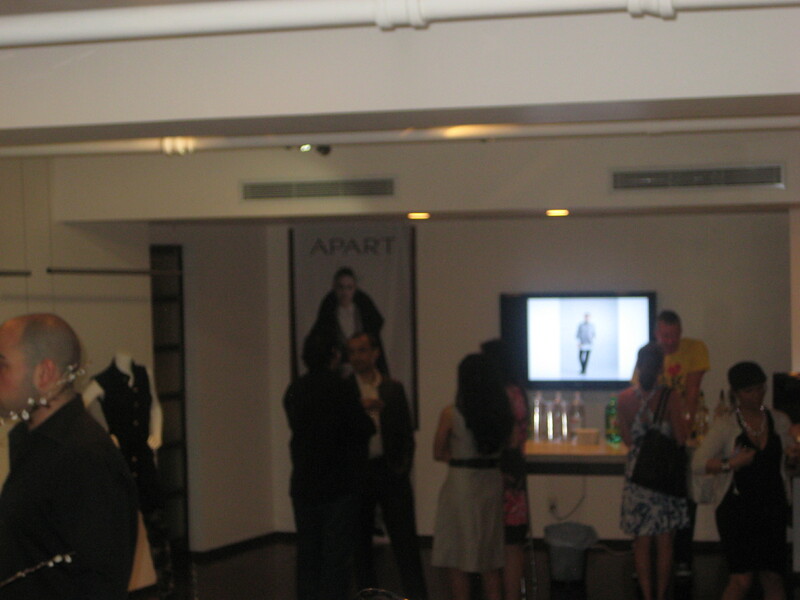 You can check her blog for more pics of the Apart line, and a review of the event. FYI: I was going to “steal” her pics (with her permission), but just go over there and look at them. 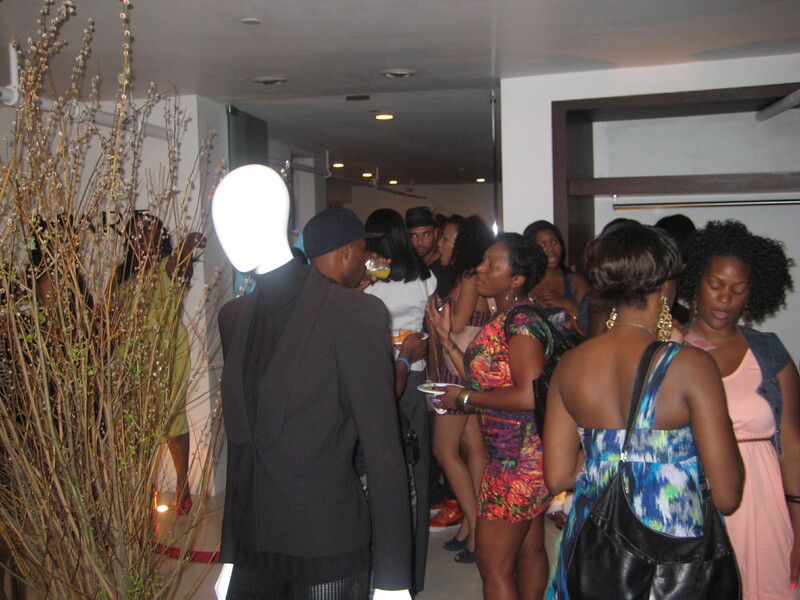 What I liked about this event was that it was a very diverse group of people. There was a good amount of male and female bloggers from different blogging genres. This was definitely a great opportunity for networking. I met so many different bloggers I haven’t met before (or heard of). 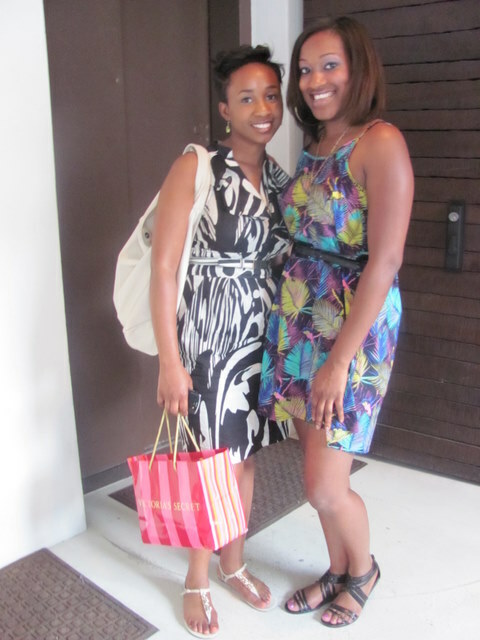 I also ran into The Fab Chic. She and I always chat via twitter, but I’ve never met her in person. I loved her outfit by the way. Other familiar faces was My Pink Monkey! 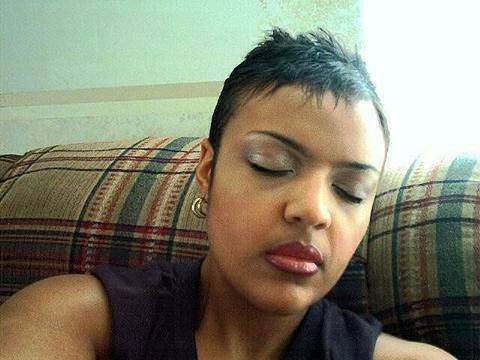 Check out her blog, and Chris “Classic” Davis; I haven’t seen him in a while though so it was nice running into him there. Nikita Banks of The Single Girls Guide to Men came over to chat it up with Janique and I, and… try to hook Janique up with her “perfect guy.” (. :LOL:) She invited us to her cocktails & conversations event. I’m not sure if I can go since I’m not single, but we shall see. Nina Shoes was one of the many sponsors. If you know me, you’d know that next to makeup I love bags and shoes. 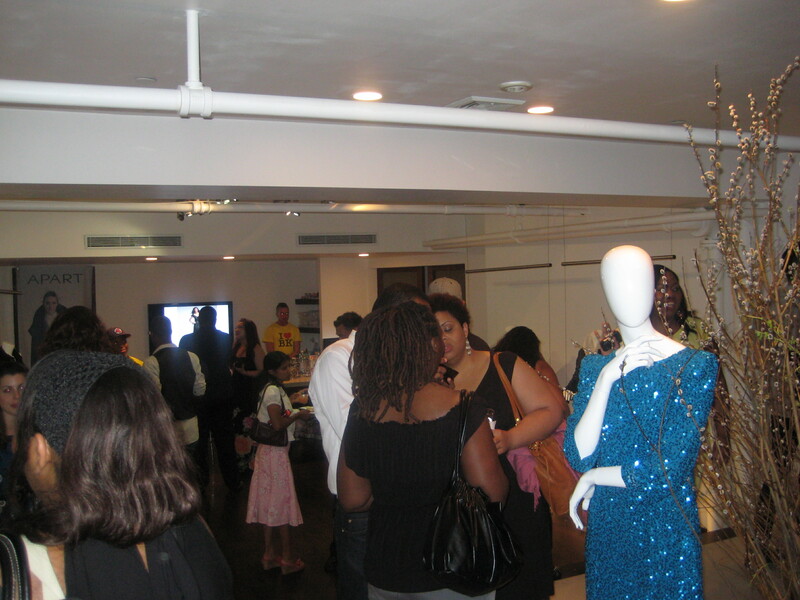 They had a fly pair of pink high-heeled sandals I liked, and an interesting pair of light-up open-toe booties. What was served? There was an open bar with flavored vodka’s. 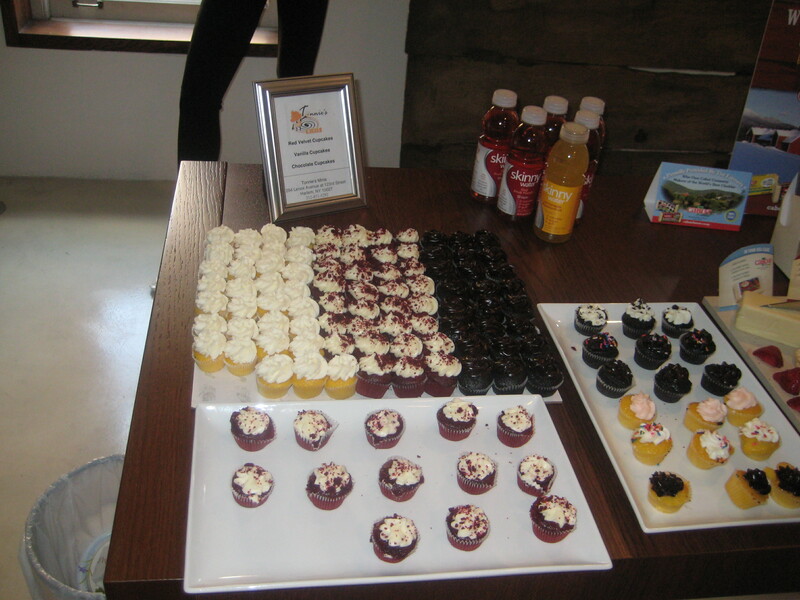 There was a crudites platter, Cabot Cheese was a sponsor, so of course there was cheese and crackers, and then there were these delicious cupcakes from Tonnie’s Minnies. They were so good; very moist, not too sweet, and just good! I know a good cupcake because my sister makes them too! Now for the bag… They had a system, a fashion blogger got a bag with fashion related items, and a beauty blogger received a bag with beauty related items. My bag included a scarf from Apart, which is purple (my favorite color), a large bottle of baby oil, an Apart notepad & pencil, and a Gap bracelet. Now that I’m seeing pics of other people’s bags, maybe mine was skimped? It was nice to have received anything at all though. That is all ’til next time! If so, how’d you like it? Great review….even though I was put on blast about my "perfect guy" lol….that was a classic moment. Ok, can I say how really cute you are?!? It looked like it was a great evening. Aww thank you. This was definitely a bad hair day though. The event was cool. lots of people. LEVEL 10 PISSED that I didn't go. smh. looks like a great time.